Some of the art displayed at the Monfort Torch Club exhibit. The fight against Big Tobacco’s targeting of teens is still in full swing, both in the courtroom and on the streets, but for the first time in years we are starting to see some positive effects. In recent years it has come to the public’s attention that tobacco companies are specifically targeting young people because studies that show that if someone hasn’t smoked by age 18, they likely never will; 9 out of 10 smokers start before age 18. The earlier one starts smoking, the harder it is to quit. That is why Big Tobacco has specifically targeted this demographic, making their products in sweet flavors that make it easier to consume for a first-time smoker and flashy packaging that is attractive to young people because it looks like candy. E-cigarettes are the biggest problem, and for the third year in a row they are the first choice among youth smokers. But contrary to popular belief, they are not safer than other tobacco products, they are actually more addictive due to the menthol component that makes them so easy to consume. That is why campaigns such as “Real Cost” by the FDA and “Tips from Former Smokers” by the CDC were born among many others, out of a necessity to educate the public, especially young people, on the real effects of tobacco consumption. And these campaigns worked. In the last few years, a huge audience of teens have been reached by these mass media advertisements against the tobacco industry. From 2015 to 2016, middle and high schoolers reporting using tobacco products dropped by about 17%. Legislation was also put in place to protect young people, like PACT for example, the Prevent All Cigarette Trafficking Act that was enacted in 2010 to prohibit online retailers from selling to minors and to enforce proper taxes on those retailers. Roots & Shoots teens at the Boys & Girls Club in Greeley, Colorado wanted to go further to stamp out tobacco use in young people in their area, not with legislation or advertising, but with art. 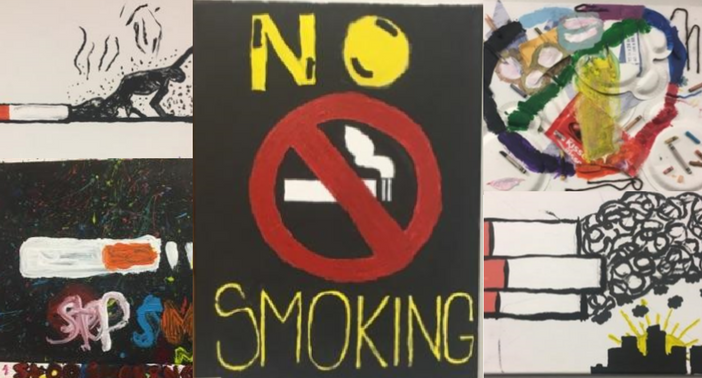 The students, who go by the name of the Monfort Torch Club, wanted to showcase the dangers of tobacco in a way that would get their peers’ attention, so they came up with the idea of an art show open to the community. 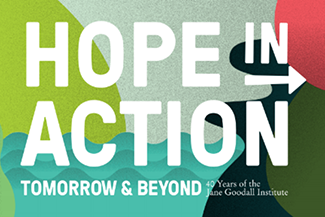 Unfortunately, for many kids in this area, tobacco in the home is commonplace, and prior to this campaign they had never had discussions surrounding the negative effects of the substance. But educating children means educating their parents because many of these kids would take home with them the lessons from this campaign. The exhibition was an overwhelming success; what was meant to be a one-day show at the Club turned into a week because of positive reactions. Members of the Torch Club became educators to other B&G members asking questions about the campaign, and the staff engaged in many discussions with parents who heard about the art. If there is one way to capture the attention of a community, it is with provocative art that showcases young voices. The Boys & Girls Clubs of Weld County have reported staggering numbers about the safety of their teen members; 87% of whom report abstaining from alcohol, marijuana and cigarettes. This is a community where members feel emotionally secure, physically active, and are building positive, inspirational connections with the adults around them, making it the perfect environment for Roots & Shoots projects. Boys & Girls Clubs of America work on instilling basic “senses” in their members that will lead them to become caring citizens— a sense of competence, usefulness, belonging, and influence. Sounds a lot like being a compassionate leader doesn’t it? Next Article Introducing…Roots & Shoots Communities on Facebook!